Students at SPJE participate weekly in a stimulating, inclusive and varied Performing Arts program which aims for success for all. Integrating the art forms of Music, Drama, Dance and Media, the curriculum is geared towards fostering and enhancing the self-expression, communication skills and creativity of our students from Foundation to Year Six. 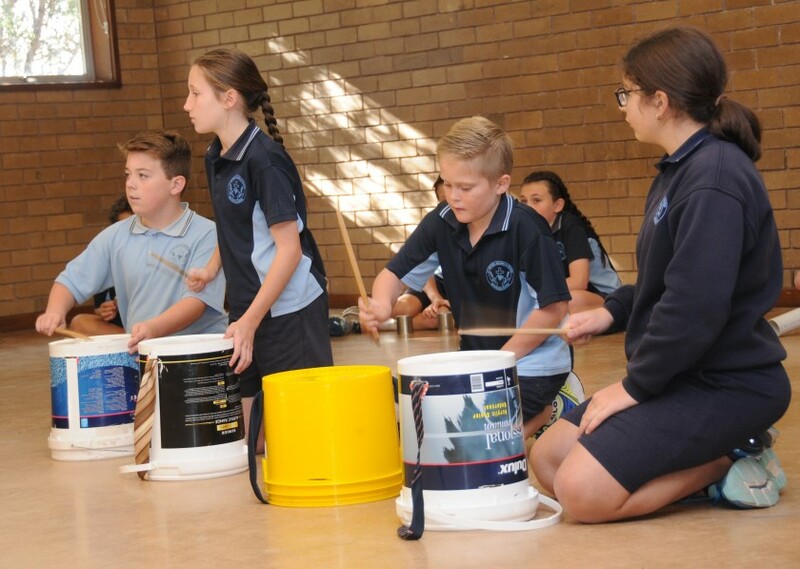 Our students have the opportunity to experience a variety of tuned instruments, such as the xylophone, recorder, voice and ukulele, as well as the djembe drum and other un-tuned instruments. Students engage in a broad range of dramatic activities using the techniques of characterisation, improvisation, mime and spacial awareness. Students use media to create their own art works including compositions with the app GarageBand and creating and filming their own TV commercials. In addition, the senior students participate in a full scale musical production biennially. Students also have the opportunity to join one of our three school choirs, who participate in a variety of community events including our school Masses, Monash Youth Music Festival and Hookey Park Carols by Candlelight.